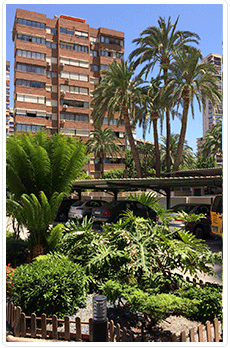 Rentals Benidorm – Your holiday apartment in Benidorm with Altea Dársena. Apartments offered which are situated opposite the beach, From your balcony you can enjoy the best sea views in Benidorm. A supervised time of professionals working in the área of rights, administration and community manafement, with a wealth of experience and realiability. It i sour objective that you can enjoy the most exclusive and quiet áreas of Benidorm and your investment has insured success. 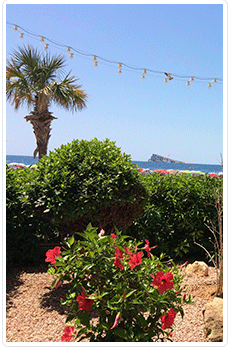 In Altea Dársena we are dedicated to rentals in Benidorm on sales and specially to find your holiday home in Benidorm. On the Levante Beach, the most turistic and valued on the first line. 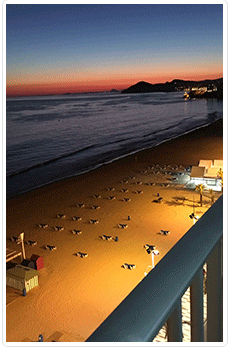 The Levante Beach is the most well-knowm in Benidorm. It is success is because of the wide variety of surroundings in a real paradise. Shops, cafés, ice-cream parlurs, pubs, discos, restaurants… Plenty of opportunities to be with family, friends, a couple or simply enjoying a pleasent walk by the beach. In addition, Benidorm has often wan various awards for its excepcional beaches noted for the clean and calm waters. We are located by this famous beach. We can be found in building Tor-maraya opposite the beach with the main entrance on the promenade. The building is one of the quietest in Benidorm us it doesn´t have shops below, in fact, there is even a garden at the entrance. 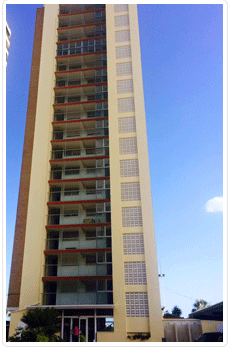 All the holiday homes have spectacular sea views and skys crapers of Benidorm. With us you will find all the peace and confort you need. Every apartment is completely equiped with everything you need for your stay. Some conforts wich are available are gardens in the entrance, private terrace, wifi connection and amazing sea views. Also the living/dining room has cable TV. There is toilet with bidet, fulli equiped kitchen, such as a microwave, fridge, washing machine, hob, oven. Of course all the necessary kitchen utensils are suplied together with iron, ironing table, teapots, coffe machine. Bed linen plus towels are included and adapted for each stay. Extra bed by previous arrangement. Free wifi connection in the building hall. In Altea Dársena Aparments we worry about your well being so that your holidays are perfetc. For this, we know that one of the biggest worries for our guests is when coming to park the park. This is because of accommodation is located in the central area in the availabity to park is either expensive or practicaly impossible. In Altea Dársena we offer all our clientes free parking space in the same block for all their stay when reserving an apartment. Also, the access to the block and cark park is restricted to key holders. ALSO, IN THE BEST AREA OF BENIDORM: LEVANTE BEACH. An ideal area to spend a few days relaxing and return to your routine energized. Benidorm is famous for its beach tourism, but a lot of people discover there’s much more. With the pleasant winter weather you can not only the water sports, but also, hiking or gentle walking. Without doubt, Benidorm it is a special place and a lot of our clients return every year, generation after generation finding peace and quality they are looking for. Don´t hesitate in contacting us to find your perfect holiday home.